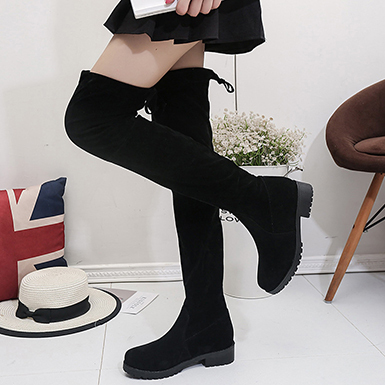 Sometimes you need something special to wear with your favorite mini skirts and dresses. 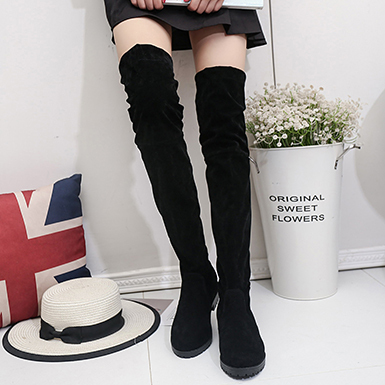 Our women’s faux suede, over-the-knee boots are the solution that you have been seeking! 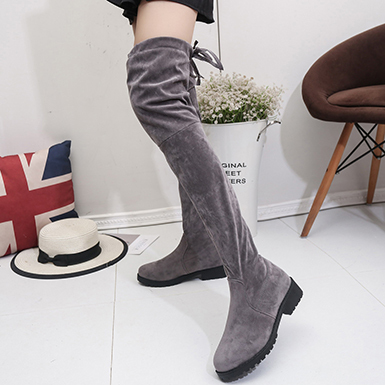 These finely created boots come with rubberized, heavily textured soles that cushion your step, and that provide traction to grip the ground safely when you walk through the ice or show. 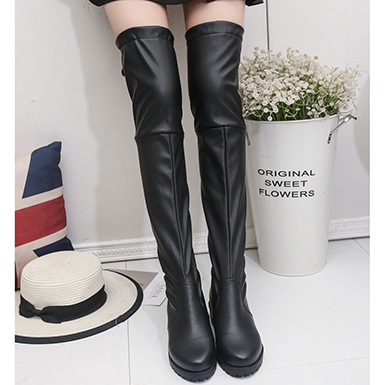 Their long, over the knee style ties in back to secure a good fit. 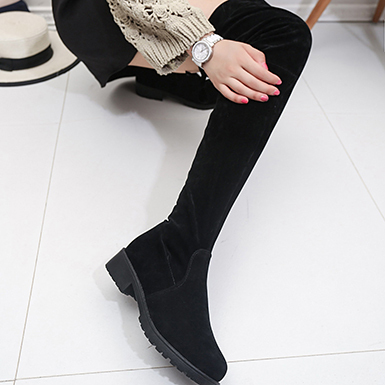 The shaft is simple and unembellished, but decorative seams appear in the foot area. 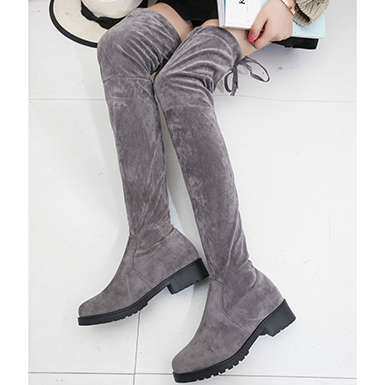 The boots are lined with a special synthetic textile that helps keep the skin dry and warm. 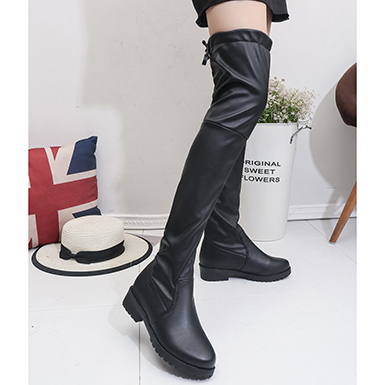 These boots are presented in classic black, brown or gray, and will look great with all of your minis. 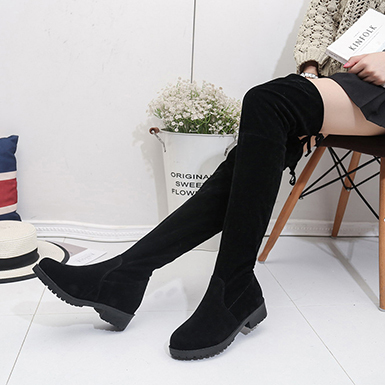 Black Faux with Boots Suede Textured High Soles Thigh Women's Heavily Thigh Soles High Heavily Women's with Textured Suede Black Faux Boots Choose 3 or more topics that you want to see. 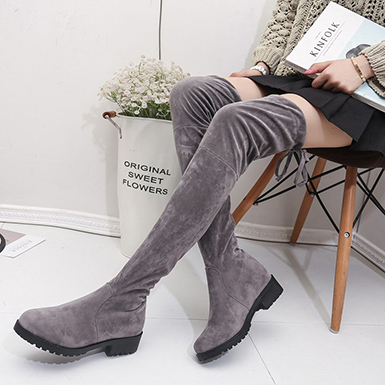 Thigh Boots Faux Textured Black High Heavily Women's Suede Soles with Gaddafi appeared to rehabilitate his image with the west particularly after the 2003 invasion of Iraq when it was felt he feared the prospect of a similar incursion on his country.